The Intel-powered smartphone hits Europe in three variants, starting at roughly $190 USD, and is expected in the US by the end of May. Asus introduced the Intel Atom-powered Zenfone 2 smartphone family back in January at CES 2015. After hitting the Taiwanese market in early March, these handsets reached Europe yesterday, and now the US market is next in line. While pricing for the US is still unknown, Asus US will hold a Zenfone 2 event at the end of April, so we will definitely find out more about it next month. 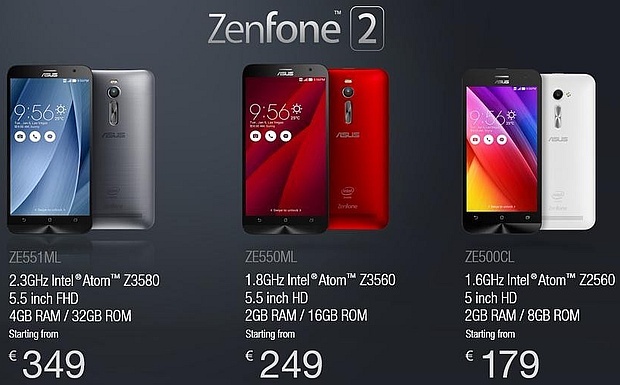 The Asus Zenfone 2 family is expected to retail starting at $199 USD in the US, but this figure has not been officially confirmed yet. The Asus event mentioned in the beginning takes place on April 28, in New York.